Just before Christmas I wrote a post questioning why Barclays are in our libraries. Somewhat alarmed by the invasion of a public space by a corporate entity, I was particularly concerned about the kinds of tools that they recommend as part of their digital skills drive. Unsurprisingly, they were things like Google, Yahoo! and Outlook (see the aforementioned post for reasons why I find this problematic). The Google thing particularly troubled me, and it rather suggested that (surprise, surprise) there may well be an ulterior motive as to why Barclays are offering up their help in public libraries. Barclays are not promoting their banking services in doing this, they are solely concerned with helping people develop their digital skills and get online. I don’t buy this. In fact, I have never bought this. As my grandfather (an Arkwright style shopkeeper who would be appalled his grandson has turned out to be a socialist) used to say “nothing is free”. Barclays aren’t offering this for free with no immediate return. They are doing it because there is a business advantage in them doing so. I think Nick’s statement may well be wrong and that there is a soft sell element to this. I’m a suspicious sort, so I thought I’d dig around a bit and see what I can find out. We are always looking for more ways to deliver to you the most useful and relevant ads – for example, we may use your Google search queries and clicks, Google Profile, and other Google Account information to show you more relevant ads in Gmail. Now, of course, this is fairly circumstantial. Maybe the Digital Eagles don’t always sign people up for Google Accounts and maybe they don’t always direct people to their website. I’ve never been to one of their sessions, I’m not aware of anyone who has and there seems to be very little information on exactly what they do in these sessions available to the general public. BUT signing them up for a Google account, and visiting the Barclays Internet Help pages in the same session will significantly increase the chances of the individual in question receiving targeted ads in their inbox promoting various services Barclays delivers. 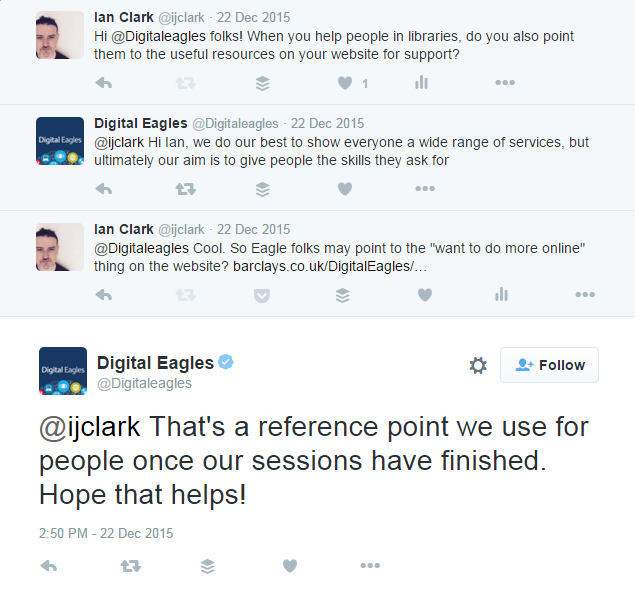 In short then, Digital Eagles in libraries is a great opportunity for the bank to deliver direct advertising to individuals who are not currently online, who lack digital skills and, potentially, are not existing customers of Barclays (their Internet Help page also promotes their online banking services). I’m sure this is not their sole reason for providing digital skills support, and it might be that this is entirely coincidental. But it is worrying (indeed, I was telling a more politically centrist IT friend of mine about the project and his instant reaction was “that’s completely inappropriate”). The best alternative (aside from not letting Barclays in the building at all) would be for the tools that they recommend to people were privacy related rather than the kind of tools that gather data to serve adverts. So, for example, rather than Google’s search engine, they have to show individuals how to use DuckDuckGo. This would ensure that the user’s search history is not then used to deliver adverts and would ensure that there was no potential whatsoever for Barclays to either hard sell or soft sell their products. At present this relationship provides far too much opportunity for the latter, even if the former is prohibited. I think we’ve generally done ourselves (the profession as a whole) a huge disservice when it comes to digital skills support. We KNOW this stuff. We know this stuff BETTER than Barclays do. Right across the profession we’ve got people who help people with digital skills, who teach people essential skills with regards to digital literacy, and yet we’ve outsourced these services to banks. Which when we read that back, doesn’t that sound odd? The skills and knowledge we have around using the internet effectively we are not passing onto the general public, we are asking providers of financial services to do it for us. How did we get into this mess? Is it a question of leadership? Is it the hollowing out of public services by central government? Is it the decline in professional ethics? For me it’s all these things and more. One thing is for certain, the future is bleak if we continue to believe that others can do it better than us. Corporations want your data as much as governments want to snoop. Remember the early days of the internet? When start-up companies seemed to be, somehow a different breed from the companies that we had grown accustomed to? “Don’t be evil” appeared not only to be Google’s mantra, but the mantra of a whole host of companies that emerged in tandem with the growth of the internet. Whereas we had grown accustomed to companies that were focused on shareholder profit over rather than the interests of ‘consumers’ or society in general, these companies seemed to be benign, friendly, sensitive to their social responsibilities. …HMRC can see websites viewed by taxpayers, where a mobile phone call was made or received, and the date and time of emails, texts and phone calls. According to the revenue website, these powers “can only be used when investigating serious crime”. The desire to highlight some of these illiberal measures isn’t solely restricted to organisation such as the Open Rights Group, many of the giants of the internet are quick to point the finger at the role of government as a threat to the freedom of the individual. Take, for example, the largest of all the companies to emerge in the internet era – Google. Last week, in an article for The Guardian, Eric Schmidt (executive chairman) and Jared Cohen (Director, Google Ideas) warned that global governments are monitoring and censoring access to the web, which could lead to the internet becoming ever increasingly under state control. The usual examples are rolled out of authoritarian regimes seeking to restrict what their citizens can access online. Curiously, however, there is no mention of the United States or Europe (Russia appears eight times, China seven), it appears that we are not affected by the government monitoring or censoring access to the web – oh, apart from the Data Communications Bill, the Digital Economy Act, Ripa etc etc.This omission seems curious considering an admission by Schmidt in a separate interview with Alan Rusbridger, also in The Guardian. 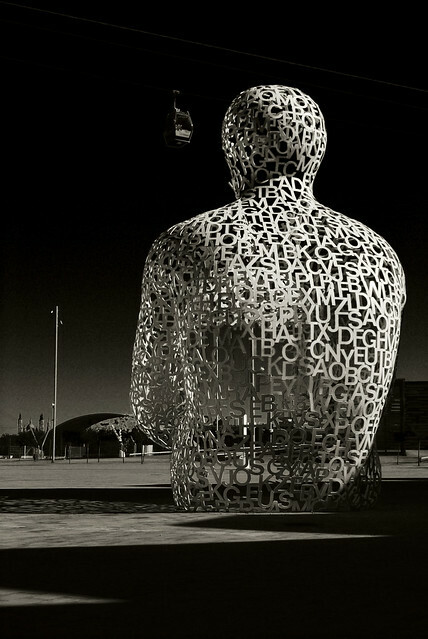 But [Schmidt’s] company collects and stores an extraordinary amount of data about all of us, albeit in an anonymised form. Which is all well and good, until government agencies come knocking on Schmidt’s door – as they did more than 20,000 times in the second half of last year. The company usually obliges with US officials. (It’s more complicated with others.) This will only get worse. Clearly, as the legislative examples shown above demonstrate, attempts to monitor the web are not only restricted to authoritarian regimes but are also a problem in Western, (supposedly) liberal democracies as well. When the US is making 20,000 requests in six months (around 100 requests a day on average), it is clear that the problem is not restricted to just China, Russia and other authoritarian regimes. But there’s another side to this equation. A side that Schmidt and others in the business community seem to be reluctant to talk about, for very obvious reasons. The extract from Rusbridger’s interview with Schmidt reveals two facts that everyone concerned with the internet and the free flow of information need to be worried about. First are the actual requests from US officials for data from Google. The second is the data that Google collects and makes available to US officials. There are, I would argue, two concerns about the future of the internet: government control and corporate control. The former Schmidt is keen to talk about, the latter not so much. Google’s business is data. They collect data from users to ‘enhance the user experience’ (a brilliant phrase used to suggest that the collection of your personal data is actually doing you a favour). The volume of data collected is vast and is collected for a specific purpose: to make money (to “enhance the user experience”). These services do not charge you to make money, they use a commodity you are giving away for free and then selling it on to advertisers. The transaction is different from the traditional service model (consumer purchases goods from service provider), but it is effective and relies on your data to ensure profitability for the service provider. For example, Google was making $14.70 per 1,000 searches in 2010. Some services do not even require you to visit the service itself to obtain your personal data. Facebook, for example, has been known to track light users of the service across 87% of the internet. 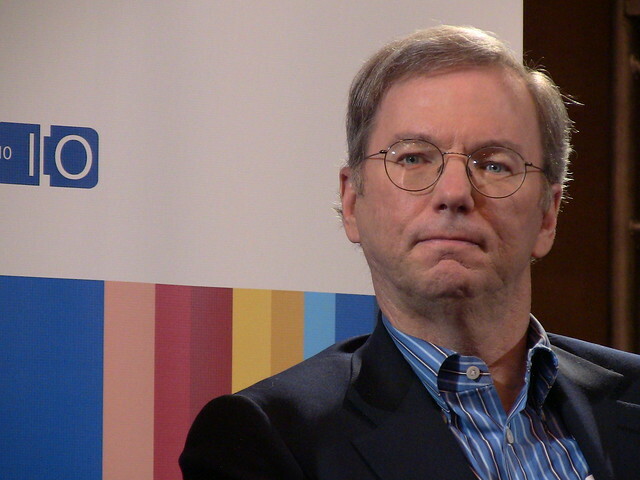 Google’s executive chairman, Eric Schmidt (image c/o Jolie O’Dellon Flickr). Beforehand, individuals reported having little or no familiarity with the candidates at all. Based on short biographies, they were asked to rate each candidate and say how they would vote. They then spent time gathering information using a mock search engine, after which they again rated the candidates in various ways and again said how they would vote. Before their Internet search, there were no significant differences in how they rated the candidates. Afterwards, however, two thirds of the people in the first two groups said they would vote for the candidate that was favored in the search rankings – a dramatic shift that could easily “flip” the results of many elections, especially close ones, concludes the report. Now, there is nothing to suggest that Google have actually weighted search results in the way suggested in the study nor that they ever have the intention of doing so, but they can. Not only can they do it, but they can do it without our awareness of such manipulation. 1) The relationship between the user and the service. Unlike traditional relationships, we are not simply the consumers purchasing goods from a service provider. They are taking data from us and selling it to advertisers to make money. Our data is the product and we are the vendor. The problem is we are not remunerated for this transaction, only permitted to use a service under the terms stipulated by the service provider. They are not acting out of kindness in offering such services for free, they want more data from users to increase profits. 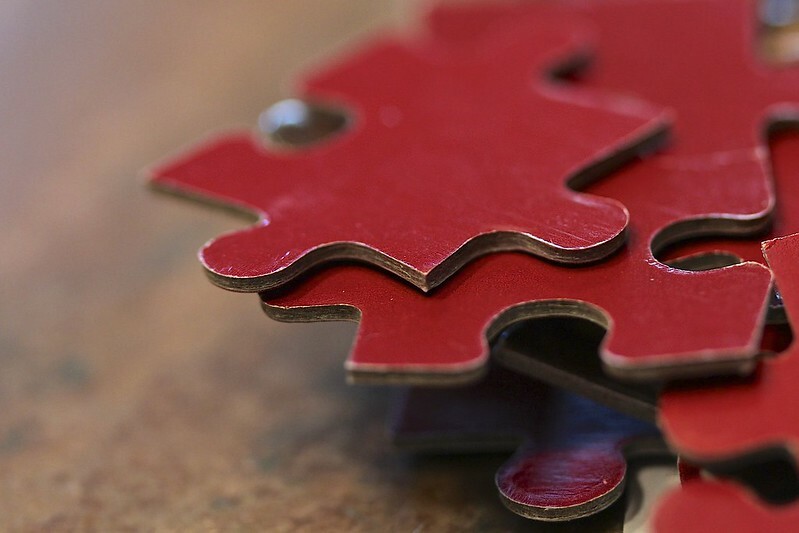 Users need to be more aware that they are the vendors in this relationship, not the customers. Of course, we believe and trust them because we are not ‘buying’ from them, we still see them as providing us with something for free when actually they make their money using our data. 2) Considering the volume of data given away, there is a need to remind ourselves of the nature of government and corporations. Like governments, corporations are not fixed. Corporations change. They change either because of a need to increase profits, or they change because they have been bought out by a rival. You may well be happy giving Google all your data, but what happens when it is no longer Google? What if your personal data fell into the hands of a company you were not comfortable gaining access to it? What then? And whilst a takeover attempt of Google may seem far-fetched at this point, remember that that the very idea that Time Warner would merge with a company called AOL was a fanciful notion towards the end of the last century. Nothing remains static in either the worlds of business or technology. Above all else, however, we need to remember that companies like Google and Facebook are just that: companies. Whilst they appear warm, fuzzy and less stuffy than traditional corporations, they are still corporations. Corporations that are acting the same as every other corporation before them, lobbying government to lighten regulation, maximising profit and, where possible, shift the focus onto government shortcomings in the hope that their own activities won’t be subject to scrutiny. They are, after all, just corporations like any other and we should treat them with the same scepticism as we treat older, more established corporations. For when it comes to the internet, we need to keep a close eye on both the governments who regulate it and the corporations who profit from it.